This 25kg granite parasol base with wheels is made from a robust combination of granite and stainless steel for both style and strength. 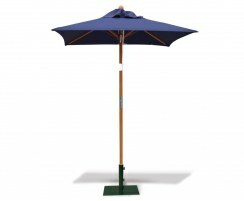 Keep your garden parasol safe and secure with this garden parasol stand. 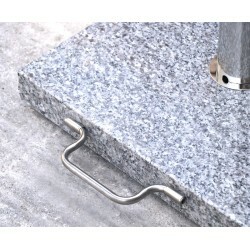 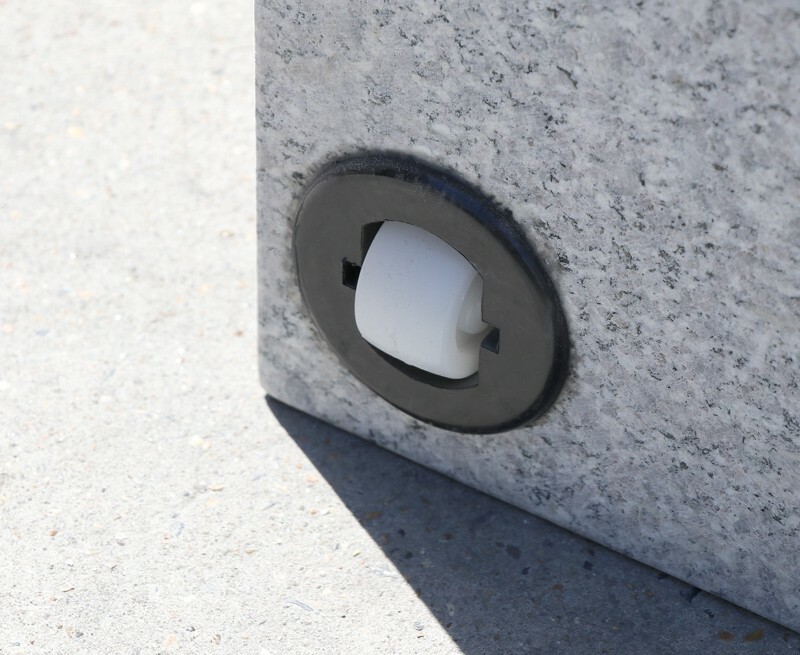 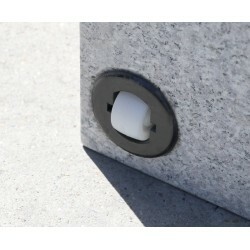 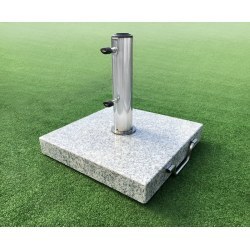 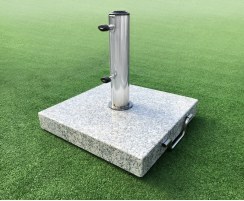 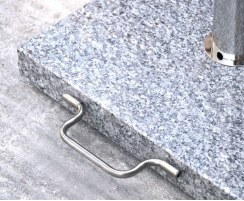 This granite parasol base with wheels is suitable for use with parasols with a shaft diameter of 35-52mm, including the relevant adaptors and tightening knobs to keep the parasol secure. 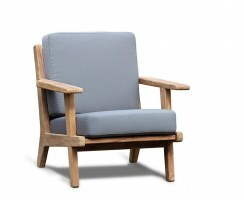 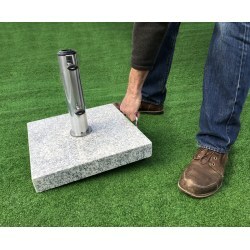 This base includes a handle and wheels to make it easy to manoeuvre around the garden. 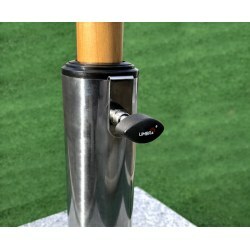 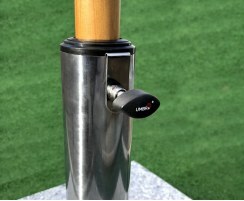 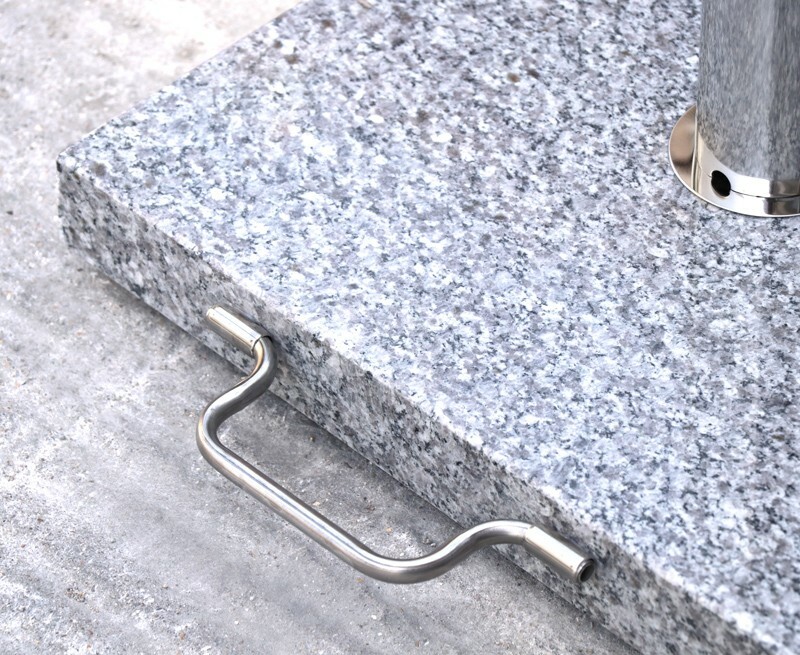 The stainless steel tube is rust-resistant and highly polished for aesthetic appeal. The natural granite makes for a pleasing showpiece for terraces, balconies, gardens and patios. 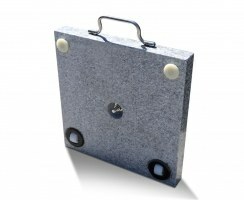 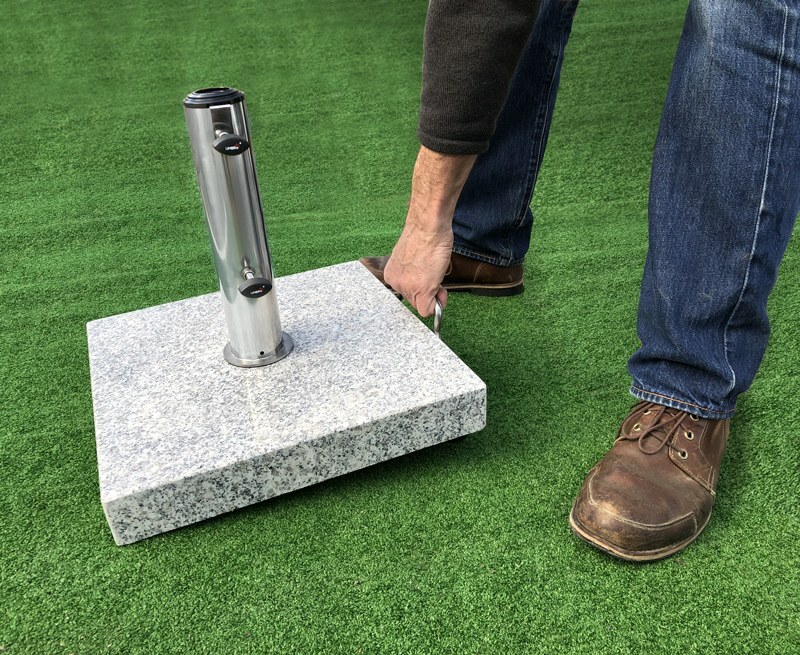 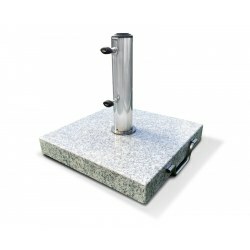 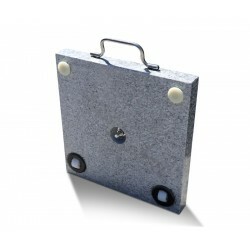 This square granite parasol base weighs in at 25kg so it’s the perfect choice for a parasol stand/base-weight that will provide more secure anchoring for your garden parasol when used through a table’s central parasol hole. 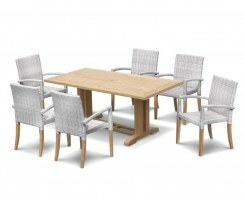 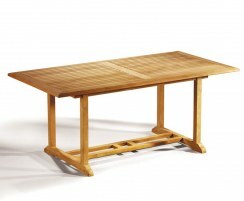 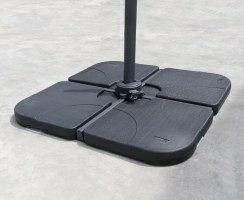 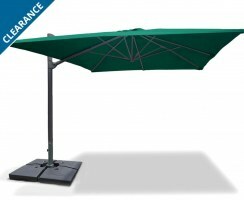 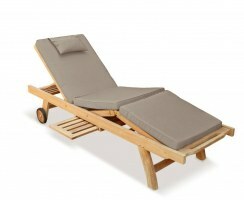 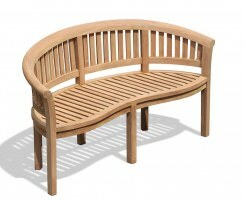 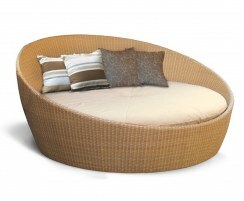 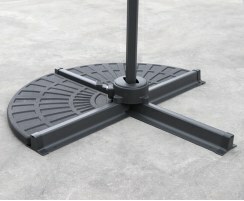 If not using through a table then this base is suitable for 2m parasols or smaller. 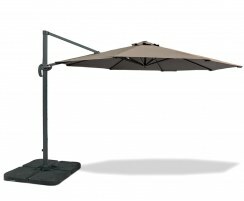 If you require a freestanding parasol, i.e. 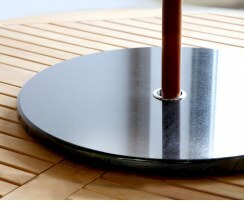 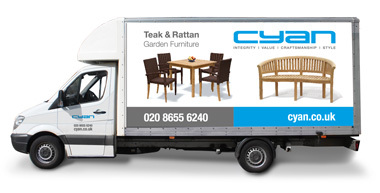 not using through a table’s parasol hole, our cantilever parasols with base weights may be a better option for you. 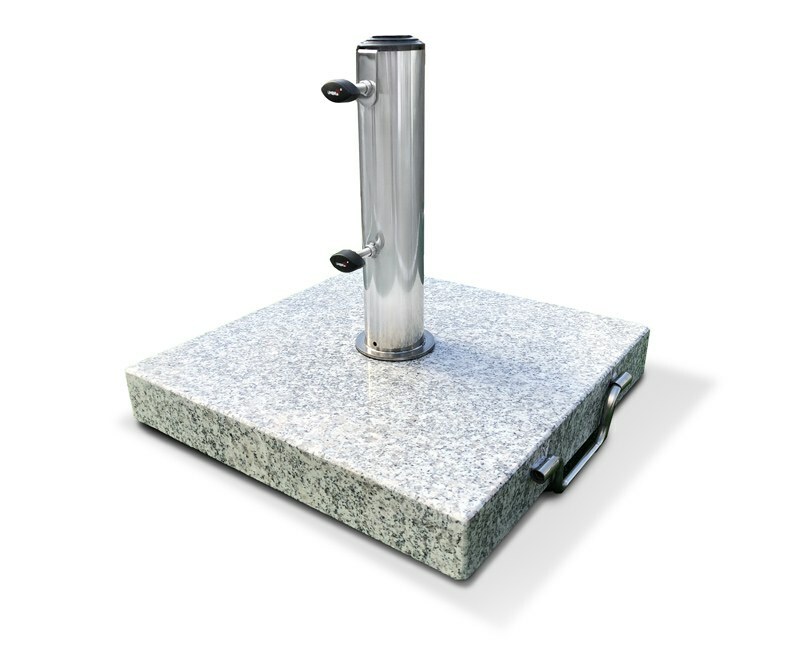 Please note that the deep base makes it unsuitable for use with tables having floor-mounted ladder rails less than 8cm from the ground.